There is still time to plan on attending. Tickets are still available for the 6PM VIP Reception with the speakers. Speaking event starts at 7PM. 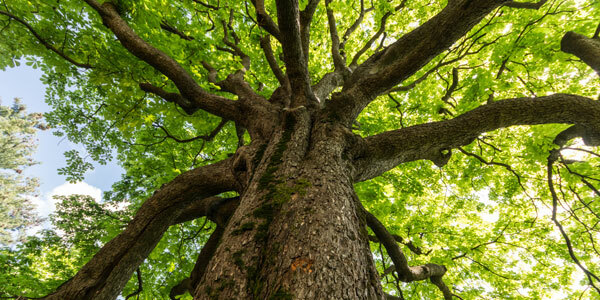 OADP believes that a cultural shift has begun to take place in Oregon and across the country. This shift adds momentum to the movement to abolish the death penalty. We each have a role to play by having a lot of meaningful conversations about change in our capital punishment system. So OADP is launching the Million Conversations Initiative. 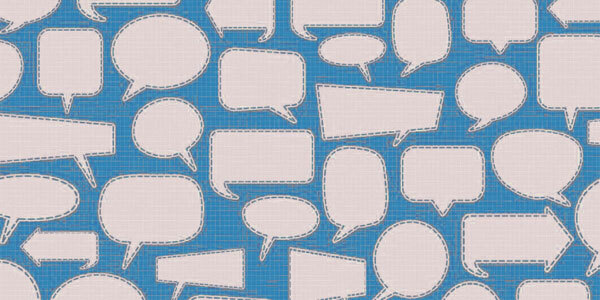 A small team of OADP members is developing a system for helping citizens talk deeply about an issue they usually do not consider: Oregon's death penalty. We will be asking all our friends and people we know to have conversations with people they know about this issue. At a grass roots level many people do not know what they think about the issue or even if Oregon has a death penalty. It simply has not come up in their daily lives or context. We want to change that. 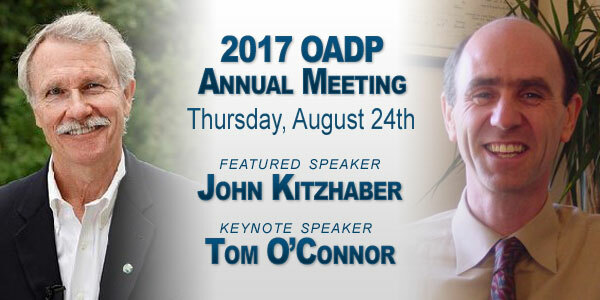 In his keynote address on August 24th, Tom O'Connor, Ph.D., will launch the Million Conversations Initiative at the OADP annual meeting. We will track the progress of the initiative by asking people to click on a counter on the OADP website every time they have a conversation and tell us the zip code where the conversation took place. These conversations about change need to spread across Oregon, and we need your help to make that happen. Stay tuned for more details. If you want proof that the Oregon death penalty system is broken, look no further than the case of Martin Johnson1. Nearly 20 years after the death of Heather Fraser, a 15-year-old-girl, the Oregon Supreme Court upheld a trial judge's order for a new trial. In other words, we are back at the beginning after two decades of enormous costs, both monetary and psychological. To be clear, I applaud the legal basis for the Oregon Supreme Court's decision. Mr. Johnson's lawyers at trial were incompetent, choosing to argue that Johnson killed Ms. Fraser in another county, urging jurors to vote to acquit on a "venue" defense when there was a real, but uninvestigated possibility that Johnson did not kill the victim at all. In other words, the case against Johnson's lawyers as incompetent was rock solid. The case for Johnson as a murderer, much less so. Enormous delay is both necessary and the most unfortunate part of our death penalty system. Without the death penalty, the Oregon courts would have reached this result many years ago. Without the death penalty, the search for the truth about what happened to Ms. Frasier would be the sole focus, unencumbered by the additional and enormous undertaking of determining whether the so called "death penalty phase" of the trial, the most complicated portion of any trial, was fair. The delay in Mr. Johnson's case is hardly abnormal. If anything, Johnson's case moved through the system faster than other cases. Oregon's death row now includes numerous old men sentenced to death for crimes committed decades ago when they were adolescents. The average age of an Oregon death row inmate is 51. The current average length of time under a death sentence is 17.7 years and climbing. Seventeen men on Oregon's death row were first sentenced to death in the last millennium. Cases that do not involve the death penalty do not have these enormous delays. That is not to say that there are not problems in the administration of justice for non-death penalty cases. There are many. But taking 20 to 30 years to get to a decision is not one of those problems. Only for the death penalty cases. And I have not even mentioned habeas review. 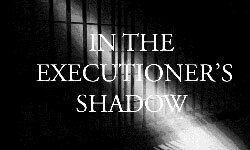 If a death penalty case ever completes the state court review process, then the federal process begins. Since Oregon restarted its experiment with the machinery of death in 1981, not a single case has completed federal review. No current cases are even close. At some point, we need to admit that this is not justice. Let me make two humble suggestions: (1) let's shut down the machinery of death, and (2) let's put our collective effort into crime prevention and victim services. 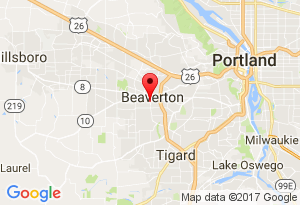 1 Oregon death row inmate sentenced to death on August 21, 2001 for the February 24, 1998 murder of Heather Fraser, a Portland-area teenager. Just before press time it was announced that Michael Andre Davis, another death row inmate, had his sentence overturned and is eligible to appeal his guilty sentence. More evidence that the Oregon death penalty is flawed and plagued with more and more costly appeals. 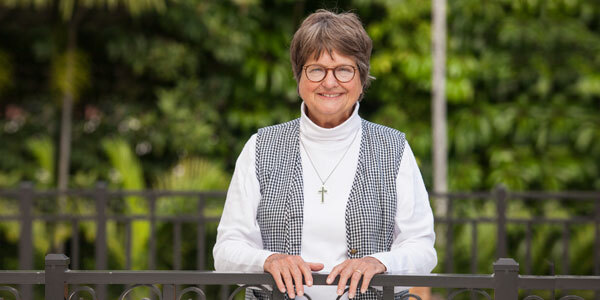 Sister Helen Prejean has been instrumental in sparking national dialogue on the death penalty and helping to shape the Catholic Church's vigorous opposition to state executions. She travels around the world giving talks about her ministry. She considers herself a southern storyteller. In the early 1980s Sister Helen was working with the poor in New Orleans when she was asked to correspond with death row inmate Patrick Sonnier at Angola. She agreed and became his spiritual adviser. After witnessing his execution, she wrote a book, Dead Man Walking: An Eyewitness Account of the Death Penalty in the United States, about the experience. It became a movie, an opera, and a play for high schools and colleges. Save the dates... Sister Helen will return to Oregon for speaking engagements in Medford on October 12th and in Lake Oswego on October 13th. Watch for more details from OADP. If you have heard Sister Helen speak, you know she is one of the best. If you have never heard her speak, you do not want to miss these opportunities. Several OADP members are developing a booklet about murder victim families in Oregon who are opposed to the death penalty. The team includes Tim Buckley, Nancy Hill, Sara Szwarc, Janvier Slick and Greg Zurbrugg. It's modeled after a similar publication by the national chapter of Murder Victims' Families for Reconciliation. Nine family members are sharing their experience of losing a loved one and the reasons they oppose the death penalty. Sr. Helen Prejean and former governor John Kitzhaber are both providing introductions for the publication. OADP Board Chair, Ron Steiner, will provide a conclusion including information on major reasons for abolition of the death penalty. Besides using the stories in the Not In Our Name booklet, we plan to include them on the OADP website and possibly as a display at OADP events. Publication date is slated for October 2017, so it will be available for distribution at Sr. Prejean's Lake Oswego presentation on October 13. We still have until Sept. 5th to add one or two additional stories. If you are a family member, or know someone who is a family member of a murder victim and are willing to share your story, please contact Jan Slick, at (503) 580-4061 or at zslick@comcast.net. After more than 30 years, countless speeches and media interviews, literally millions of travel miles, and compassionate face-to-face meetings with family members of murder victims, Aba Gayle will step down from the OADP board of directors. She is no less passionate about the efforts to repeal the Oregon death penalty, but health and family issues have signaled it is time to slow down a bit. Aba Gayle is well-known locally and nationally as a spokesperson for repeal. She counts among her good friends Sister Helen Prejean, a number of men who were formerly death row inmates and eventually exonerated, and hundreds of other family members who have had the similar unfortunate experience of losing a loved one to murder. She is known, loved, and respected by both her current and former board members and people in allied organizations with whom she has given wisdom, energy, volunteer time, and compassion. 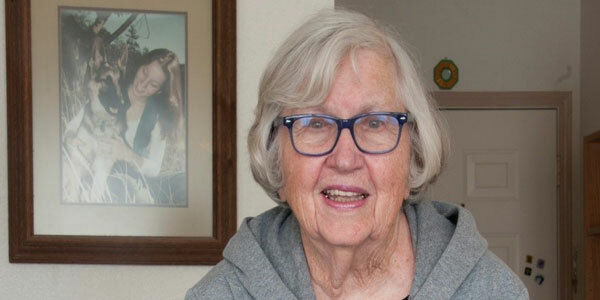 A resident of Silverton, where her daughter (a physician) and family live, in addition to being on OADP's board, Aba Gayle is involved as a member of Silverton People of Peace and the new community mosaic fountain project. Nationally, she has been involved with the Journey of Hope, a board member of Murder Victims' Families for Reconciliation, a founding member of Murder Victims' Families for Human Rights, CURE, and other peace and justice organizations. Giving has been a part of her personal reconciliation after the murder of her beautiful daughter Catherine in 1980. In her frequent talks Aba Gayle has said, "I spent eight long years in anger and rage, lusting for revenge. I was assured by the district attorney that the execution of the man responsible for Catherine's murder would make everything all right and I would be healed." She quickly continues, "That did not happen and could not happen. We never forget Catherine and do not want to wish murder by the state on another family. As she leaves her board service, she repeats once more, "I oppose the death penalty because I don't agree with murder. Murder is still murder. It is violence against a human being. It is time to stop teaching people to hate and teach people to love." The OADP board of directors and all those who know Aba Gayle wish her well and thank her for her years of service and inspiration. In 1984 Charles Nielsen stood to protest the return of the death penalty to Oregon. In 2006 OADP recognized him for more than 25 years of dedication to abolishing the death penalty in Oregon. Charles helped found the Oregon Coalition to Abolish the Death Penalty and then Oregonians for Alternatives to the Death Penalty (OADP), serving in many officer positions. Charles was a dynamic community member active in Ainsworth Church of Christ, the Ecumenical Ministries of Oregon (EMO) Public Policy Advisory Committee, and the Northside Family YMCA. Charles was born and grew up on the family farm in South Dakota. He earned a BA in sociology; a masters of divinity from Anderson University, Indiana; and a masters in sociology from South Dakota State University. Charles was a youth and music pastor, taught at Dickinson State College in North Dakota, and taught for 30 years in the social science department at Warner Pacific College. 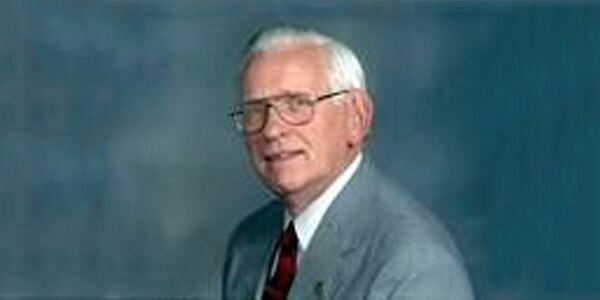 He taught criminology, placing emphasis on how to deal with crime constructively with a focus on the death penalty. Charles offered wisdom and care to OADP and to many individuals, including to a death row prisoner and to his own four children, 16 grandchildren, and 23 great grandchildren. Above all, Charles Nielsen was a statesman and gentleman committed to abolition of the death penalty. He will be missed and fondly remembered. As of June 30, 2017, the mid-point of the year, executions and new death sentences are on pace to remain near historic lows in 2017, continuing the long-term historic decline in capital punishment across the United States. As of June 30, six states have carried out 13 executions, with 30 other executions that had been scheduled for that period halted by judicial stays or injunctions, gubernatorial reprieves or commutation, or rescheduled. By contrast, at the midpoint of 2016, five states had carried out 14 executions, and 25 other executions had been halted. 12 executions are currently scheduled for the rest of 2017, with 8 others already halted, and several more death warrants are expected to be issued. In a forthcoming article in the Journal of Criminal Law and Criminology, released online in July, Ben Jones argues that, despite the popular conception of death-penalty abolition as a politically progressive cause, its future success may well depend upon building support among Republicans and political conservatives. In The Republican Party, Conservatives, and the Future of Capital Punishment, Jones—the Assistant Director of Rock Ethics Institute at Pennsylvania State University—traces the ideological roots of the recent emergence of Republican lawmakers as champions of death penalty repeal to long-held conservative views. He writes, "there is a cogent and compelling conservative argument against the death penalty: it is incompatible with limited government, fiscal responsibility, and promoting a culture of life." A Kentucky trial court has declared the death penalty unconstitutional when applied against defendants charged with offenses committed while they were younger than age 21. Fayette County Circuit Judge Ernesto Scorsone's ruling bars the Commonwealth's prosecutors from seeking the death penalty against Travis Bredhold, who was age 18 years and five months at the time of the 2013 murder and robbery of a gas station attendant. The decision extends the U.S. Supreme Court's 2005 ruling in Roper v. Simmons, which held that the Eighth Amendment proscription against cruel and unusual punishments prohibited states from using the death penalty against offenders who were younger than 18 when the crime occurred. A new generation of prosecutors, elected across the country on a platform of criminal justice reform, are taking a different approach to criminal justice policies than their predecessors, including a reduction in the use of capital punishment. A Christian Science Monitor profile of these prosecutors—focusing on Mark Gonzalez, the Nueces County, Texas district attorney—says "[f]rom Texas to Florida to Illinois, many of these young prosecutors are eschewing the death penalty, talking rehabilitation as much as punishment, and often refusing to charge people for minor offenses." Four counties that rank among the most aggressive users of capital punishment in the United States have prolonged patterns of prosecutorial misconduct, according to a new report by the Harvard-based Fair Punishment Project. The report, "The Recidivists: Four Prosecutors Who Repeatedly Violate the Constitution," examined state appellate court decisions in California, Louisiana, Missouri, and Tennessee from 2010-2015, and found that prosecutors in Orange County, CA; Orleans Parish, LA; St. Louis City, MO; and Shelby County, TN—all of which currently face allegations of significant misconduct—ranked among the most prolific perpetrators of misconduct in their respective states.